Head Coach Baber is seeking the ultimate combination of speed and power to give his side the edge in July. Gareth Baber has named a 16 man Fiji Airways Men’s 7’s touring squad to travel to Utah for preparations ahead of the Rugby World Cup Sevens later this month. 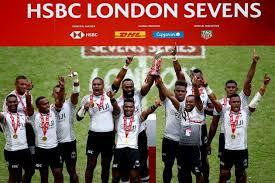 The Fiji Airway’s Men’s 7s open their Rugby World Cup campaign against the winner of Qualifying Match 7, either Japan or Uruguay on Saturday 21st July at 3.53pm Fiji Time. Utah Preparations Camp – Touring Squad. ← Police Dog Hailed a Hero for Performing CPR on His Human Partner.